Hi Lovelies…and Hello February ! This month is very special for the Atlantans because we will be hosting Super Bowl LIII in our town this weekend 🙂 How exciting ! I am also excited to share my discoveries about cactus, succulents and anything prickly with all of you. This picture is so helpful for a DIY-er like me. 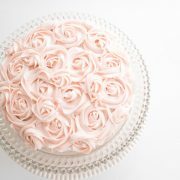 The icing tip number next to the result is just a life saver. Thank You Wilton ! 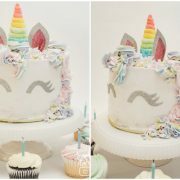 Combine Moss Green and Sky Blue icing colors to get green-blue color shown. Combine Juniper Green and Leaf Green icing colors to get dark leaf green color shown. 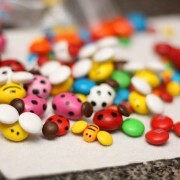 For HOW-TO detail, visit Wilton. 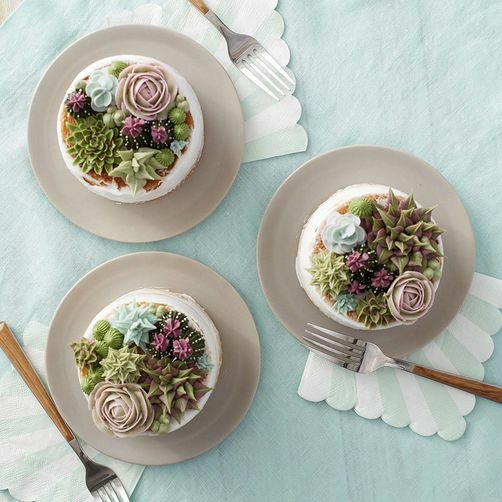 Here is another good tutorial of making Succulent garden cookies. 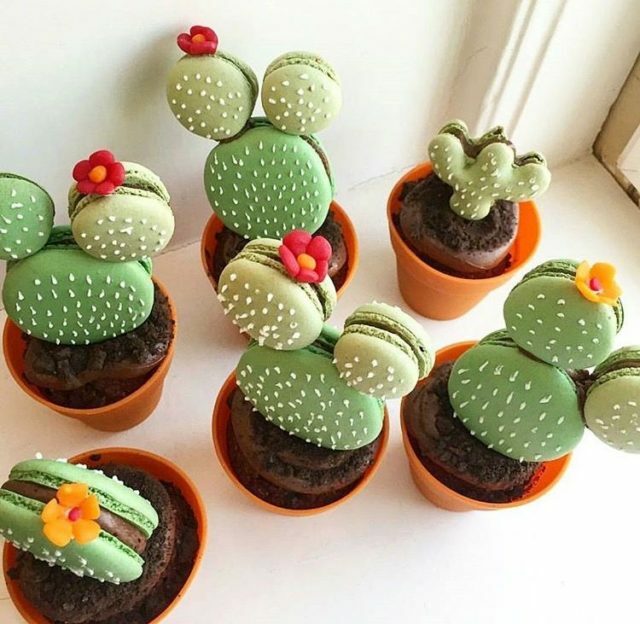 If you are a semi homemade-er like me, just buy shade of green color macaroons, Wilton white icing pen, pre-made flowers by Wilton, chocolate cupcakes, and assemble them together and viola : You’ve just made Cactus dessert. 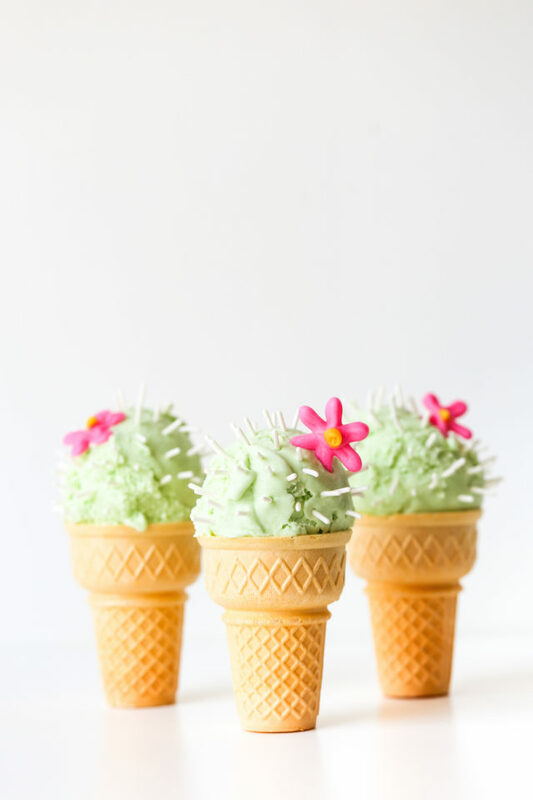 Last but not least, if you like quick, easy but cute dessert for Super Bowl, then recreate this Cactus Ice Cream. Kudos to Studio DIY for making her own Nopales ice cream. Head to her blog post for the recipe. If you are desperate to recreate this cutie, why not using Haagen Dazs Green Tea ice cream ? 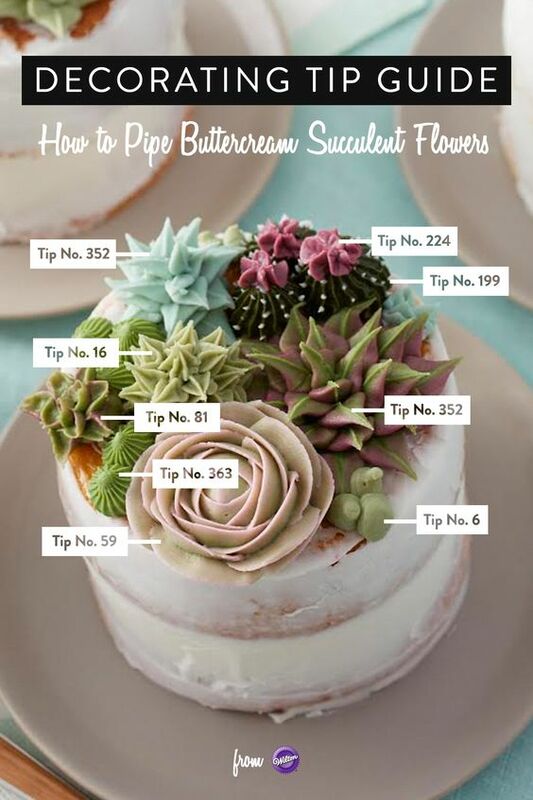 You can use a Wilton flowers for the accent. Have a wonderful Friday ! and Happy Super Bowl weekend !